Today I have a secret recipe for a tasty soup served at Boston Market. 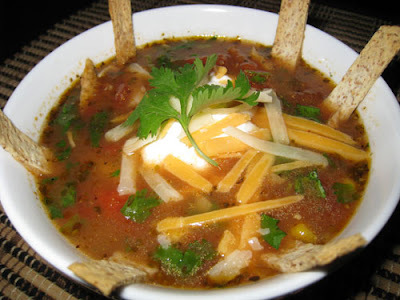 Their chicken tortilla soup is loaded with tender chicken, black beans, corn and tortilla strips in a spicy and flavorful broth. Top your soup with fresh avocado slices, shredded cheese and chopped green onions. In a medium stock pot, heat oil over medium heat. Saute onion and garlic in oil until soft. Stir in chili powder, oregano, tomatoes, broth, and water. Bring to a boil, and simmer for 5 to 10 minutes. Stir in corn, hominy, chilies, beans, cilantro, and chicken. Simmer for 10 minutes. I hope you have a happy and safe Thanksgiving tomorrow with all of your loved ones and of course enjoy all of that wonderful Thanksgiving food. Today I have a secret recipe for a classic side dish from Boston Market. Their baked beans are rich with smokey flavor and bits of pork. You can make this dish in about 30 minutes and you can freeze it for up to 4 months for later use. Let the onions soften. While doing so, empty the jar of great northern beans and place it in a 4-quart baking pan or dish. 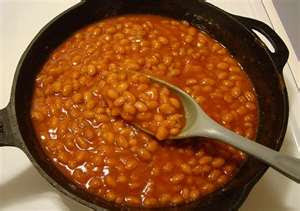 Add the Campbell’s pork and beans to the baking dish with the northern beans. Stir in the barbecue sauce, onions, ham and ketchup. Bake in a preheated oven at 350 degrees Fahrenheit, uncovered, for about 30 to 35 minutes or until it becomes really hot. While baking, stir it two to three times. After you’re done baking, remove it from the oven and let it chill. Cover it and refrigerate to use it for a week. If you want to use it for about 4 months, you can freeze the baked beans. Today’s secret recipe will show you how to make a tasty and healthy side dish served at Boston Market. 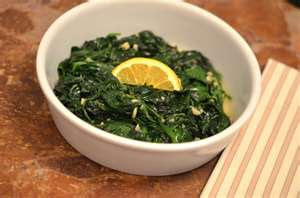 Fresh baby spinach is sauteed in garlic and lemon. You could certainly use frozen spinach that has been defrosted for this recipe, however for the best flavor I recommend using fresh spinach. In a very large pot or Dutch oven, heat the olive oil and saute the garlic over medium heat for about 1 minute, but not until it’s browned. Add all the spinach, the salt, and pepper to the pot, toss it with the garlic and oil, cover the pot, and cook it for 2 minutes. Uncover the pot, turn the heat on high, and cook the spinach for another minute, stirring with a wooden spoon, until all the spinach is wilted. Using a slotted spoon, lift the spinach to a serving bowl and top with the butter, a squeeze of lemon, and a sprinkling of sea or kosher salt. Serve hot. Thanksgiving is tomorrow and I can’t wait to start feasting on all those great dishes but first I’ll be busy with lots of preparation and cooking. Making dinner for 14 people is quite a challenge but it’s all worth it once we’re all sitting around the table. To help you complete your Thanksgiving spread, I have an essential secret recipe for Boston Market’s cranberry sauce. This side dish is easy to make and tastes so much better than just serving what comes out of a can. Big Pharma Panicked When This Secret Was Leaked. In 2-quart saucepan, over medium-to-low heat, use rubber bowl scraper to stir together jellied sauce, marmalade and ginger until melted, about 6-8 minutes. Add the sliced cranberries, keeping sauce on low. 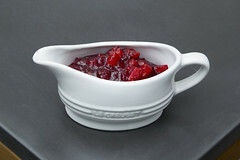 Continue cooking and stirring often until cranberries are no longer white and taste tender to the bite (not soft, but not too crisp). Remove from heat and stir in walnuts. When cooled to lukewarm, refrigerate, covered and use within a week to 10 days.